Phedora – Close up on me ! 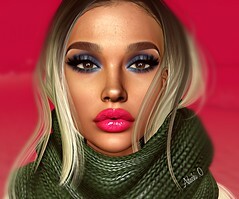 Hair : DOUX – Bella – FatPack . By Javiersasoo/By David Cooper (dam1710) NEW!!! Dress : CYNFUL – Oh! Dress – Fatpack. By Cynthia Ultsch NEW!! !